Finding the right drive to store data has become important as digitization has become an integral aspect of our lives. Apart from the amount of data, the perfect drive to be used depends on what the storage device will be used for as well. A quick search on the internet will give you results such as hard drives, SSD (Solid State Device), and SSHD (Solid State Hybrid Drive). A hard disk is used as a permanent storage device used in PCs and laptops and has a spinning disk that stores information magnetically with the help of its read/write head. HDDs are affordable and offer more storage capacity than an SSD. An SSD uses integrated circuit assemblies to store information. It does not has any moving parts, but has lower data access time. But an SSD usually priced higher than the normal hard disk and do not offer high storage capacities. This is where the SSHD comes into the picture. It is a combination of Hard Disk and Solid State Drives and offers the best features of both. In this article, we have performed a detailed analysis of the Seagate Firecuda SSHD drive. The Firecuda drive from Seagate comes in 2 form factors (2.5” and 3.5”) with three storage capacity options. The device combines the latest NAND flash technology with the traditional hard disk to give you the best of speed and storage capacity. The drives are available in the specifications listed below. The important aspect that an SSHD address is the issue of speed. While traditional hard disks offer high storage capacities for low prices when compared to SSDs, they lose out on the speed of retrieving data. Hard disks usually cannot take up too many requests at once and hence use the flash memory to make a copy of the files that are used frequently. This is where Firecuda SSHD, with its efficient algorithm, is different. The drive caches all the files that are used commonly and have a huge file size. This is a continual process where the files that are cached are constantly assessed based on their usage and regularly replaced with files that are frequently used. The Multi-tier Caching technology enables the drive to adapt and load specific applications faster. The Adaptive memory technique accesses used frequently data faster and improves the efficiency of the SSHD in terms of power consumption. These technologies ensure that the drive adapts to your requirements and performs better than the traditional hard disks. The transfer rate of the drive is assessed by taking the read and write speeds into account. While traditional hard drives have a low 80-150Mbps transfer rate and the SSDs have a 200-400Mbps transfer rate, the Firecuda has a decent transfer rate in the range of120-160Mbps. 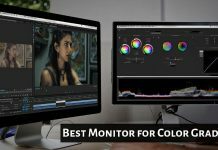 This shows that while a Firecuda might not be an excellent replacement for an SSD, it comes handy when you need a hard drive that works faster than the regular one. Seagate’s Firecuda is very economical when compared to the SSDs with the same capacity. This is one factor that you can consider if you need a gaming SSHD that adds on to your existing storage. This not only saves you money but also gives you the ability to store all your favorite games in one place. Any device, be it a computer or a hard disk, is assessed for its performance by comparing it to a benchmark. 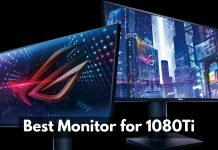 The normal benchmark used in testing devices and their compatibility is the PC8 benchmark that uses real world applications to assess the performance of the device. A PC8 benchmark of the Firecuda SSHD, using nine- real world applications revealed that the predictive technology of the 8GB flash memory of the Firecuda could not entirely handle the application load and was showing a variance in the load speeds and performance with each test. Seagate Firecuda has an improved transfer rate and reduced latency over the normal hard drives and is 5 times more productive. The massive amount of storage space allows it to be used to save games and access them easily. 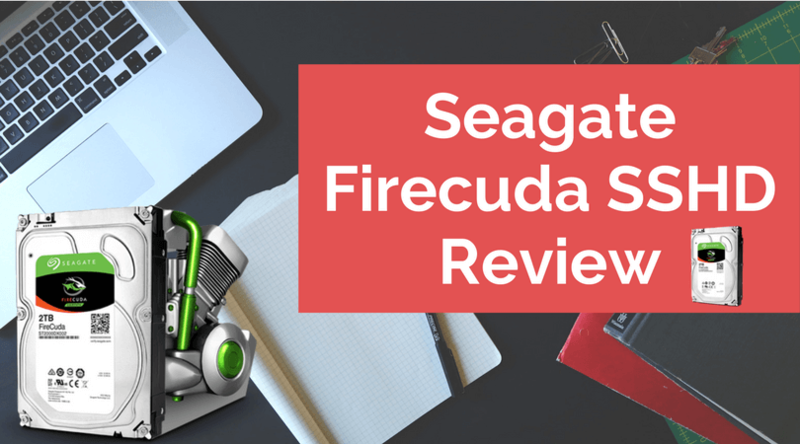 Seagate Firecuda can be used as a second hard disk for your gaming PC or laptop. Firecuda SSHD, at 103$, is priced lower and offers better speed when compared to the normal hard drives. The drive connects to the laptop with an SATA 6Gb/s interface and doesn’t require the usage of a PCIe connection. The device is designed to be power-efficient and uses the Green Hybrid technology to deliver optimized performance every time. The SSHD comes with a 5 -year warranty in line with the industry standard for other drives. The speed of this device, although sufficient, may not be impressive for those who want their storage devices to have faster transfer rates. Firecuda SSHD cannot be a substitute for a regular SSD. It is only a better alternative to the hard disk. The device handles stress for applications that are regularly used such as Windows and Word. But it may not be able to deliver high performance when different applications are frequently loaded. While the Firecuda cannot beat an SSD when it comes to performance, it does deliver when used for specific purposes. The Firecuda offers a rich gaming experience as it boots in seconds and offers high gaming speeds. The superior storage capacity allows you to store multiple games on your drive without having to clear up the existing ones. This is a pocket-friendly option for gamers and for those who want an upgrade over the traditional hard drive. We hope that this Seagate Firecuda review helps you in making the right decision. 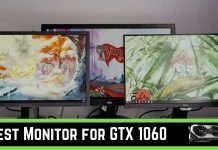 Next articleWhat is GPU Scaling and Know How to Enable it?